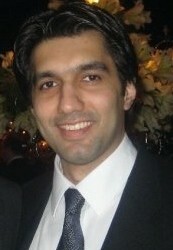 Danish A. Lakhani has been a founding member of Cybernet where he is currently the Chief Operating Officer and Director. Mr. Lakhani started his career as a Software Engineer at Cisco Systems in San Jose, CA where he worked as member of the ATM development team for the Catalyst 8500 series and later as member of the DWDM Engineering team for the ONS 15540/15530 optical platforms. Mr. Lakhani holds a Master of Business Administration degree from Harvard Business School, a Master of Science degree in Electrical Engineering (with specialization in Networked Systems) from Stanford University. He earned his Bachelor of Science degree (with concentrations in Applied Mathematics – Computer Science and Business Economics) from Brown University where he was elected to Sigma XI (Scientific Research Honors Society). Ashraf Kapadia is a very senior IT Professional with almost 40 years of experience in the IT Industry. He started his career by joining IBM Corporation as an Apprentice Systems Engineer in 1971. After 30 years with IBM, he left to join Visionet Systems, Inc.